Wardman is featured in the Chicago Tribune. Wardman and her client shares what it takes to find success in matchmaking. Wardman is featured on KFOR-TV news. A married couple meets through Ambiance and shares their success story. Leslie Wardman is featured on Channel 8 ABC news. Wardman explains our process and benefits of using a matchmaker. Wardman is featured on Channel 8 ABC news for the second time! 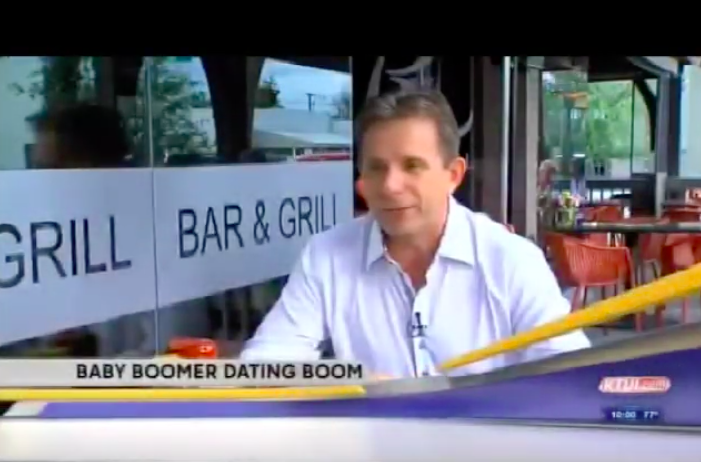 This time she briefly speaks on the topic of baby boomer dating. "Matchmaker Leslie Wardman has over 20 years of experience working with singles. The company has offices in San Francisco, Los Angeles, Chicago, Oklahoma City, and other major cities in the US." “A happy dater, someone who is going to be a successful dater, is someone who has their ducks in a row. That person is mentally and physically healthy, knows himself or herself, and is generally a happy person. He or she has done the work to become self-aware and open,” Wardman says. In this interview with the Chicago Tribune, Wardman gives insight into our company values. “The company is picky about who it accepts, and is particularly strict about education." Wardman explains what makes two people a good match, and the difference between using an online dating site and a high-end matchmaking firm. "The better you know yourself, the better you will be able to open up the possibility of loving someone else." Leslie Wardman tells readers best methods for meeting like-minded singles in this Weekend Edition of Tulsa World. Ambiance Matchmaking offers boomers, and professionals of all ages, an alternative to Internet dating. In this exclusive interview with Slice Magazine, Leslie Wardman goes through the in's and out's of the matchmaking process.